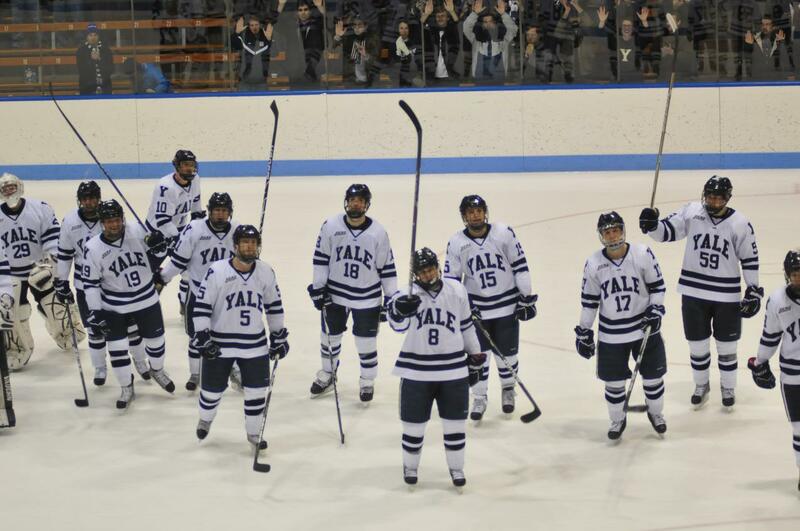 Watch Yale’s nationally ranked men’s hockey team skate against Princeton’s tigers Saturday, February 21st at 7 PM at the Baker Rink in Princeton, NJ! For pre-game snacks and libations, we’ll gather at TGIFridays. 3535 Princeton Rd. (609) 520-0378 starting at 5:30 PM. Baker Rink is a short distance away. Get tickets for Yale fans at the bargain price of $10. Make your reservations as soon as possible, because this game will probably sell out. Pick up your tickets from Marshall Hamilton during pre-game festivities or alert him (610-566-1675, mhamil2741@aol.com) if you want your tickets at the rink’s Will Call window. Watch the bulldog ice hockey team skate toward its next ivy league…ECAC…and national championships! Reservations need to be made by February 10th. Make your reservations HERE.